We have the fever!! Spring fever! And yet, it still snows. And snows. And snows. Are we going to let it get us down? NOPE! We are bringing spring into the house, in spite of the weather! All we need is some grass, a few baby animals, some flowers, maybe some mama hens and their eggs, and a rabbit or two! Oh, and some cupcakes. Things are always happier when there’s cupcakes! Our process table had been “full of beans” for the last month or two, so it was time to fill it with Spring!! So we started with 2 packages of 99 cent easter grass. Then we added some silk flowers from the dollar store. 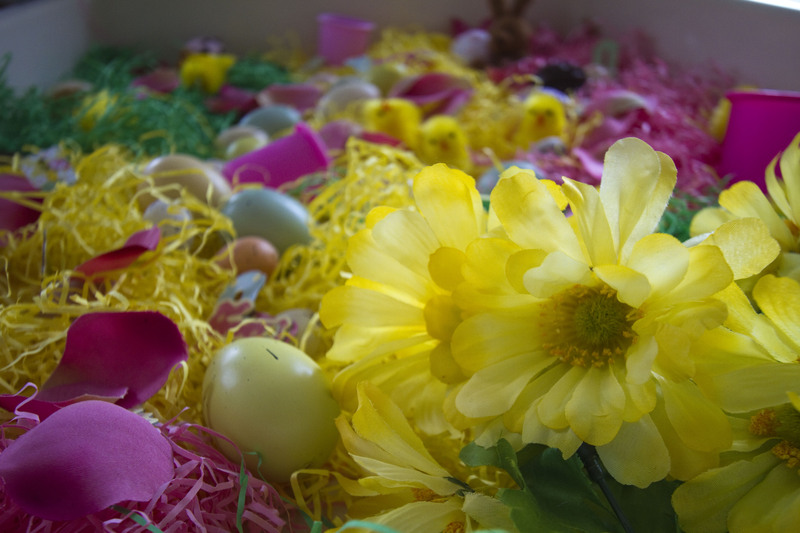 We pulled the petals off most of the flowers so they could be used for baby animal beds, or bird nests. 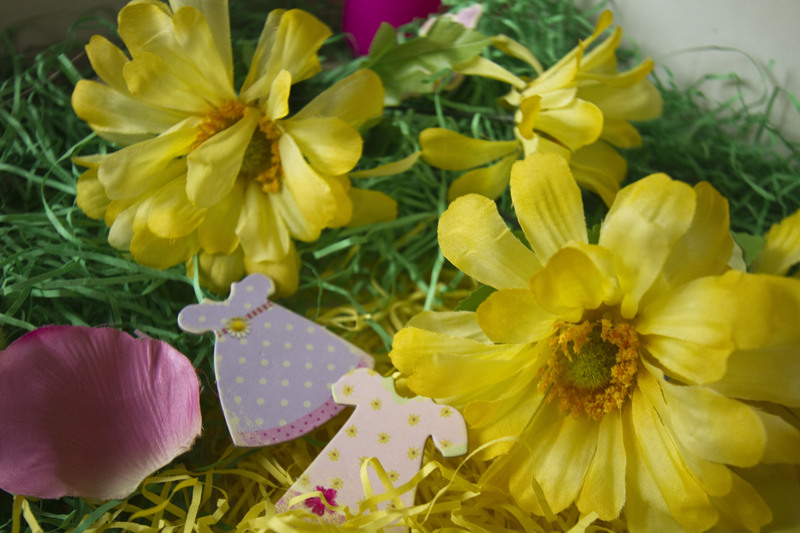 We added some crafty bird’s eggs and fluffy easter chicks from Michaels, and some chipboard spring dresses and alphabets from my scrapbook supplies. The kids and I decided that the baby chicks needed mamas, so we put some of our bean bag hens in the table. Pretty soon, the kids had the hens sitting right on the eggs, waiting for them to hatch! And here are all her baby chicks that “hatched” the following morning! 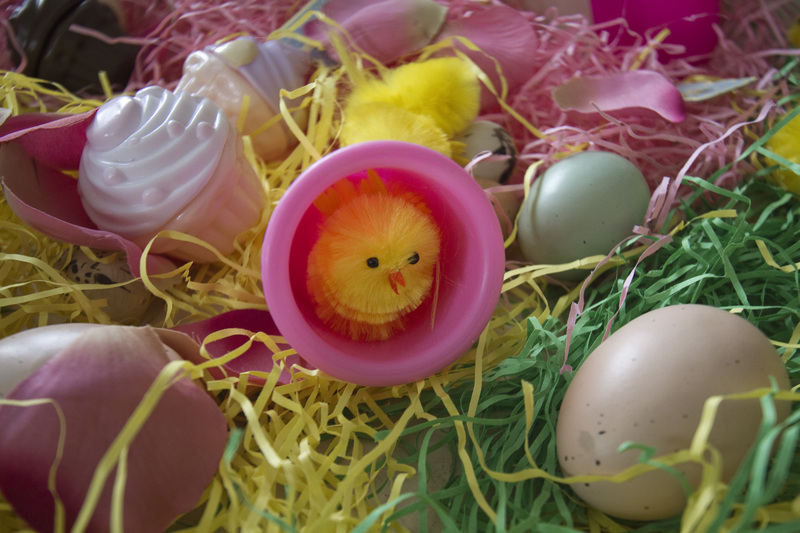 We also added our pink stacking/nesting cups to the mix for all kinds of reasons…the first one being little dens for the baby chicks! 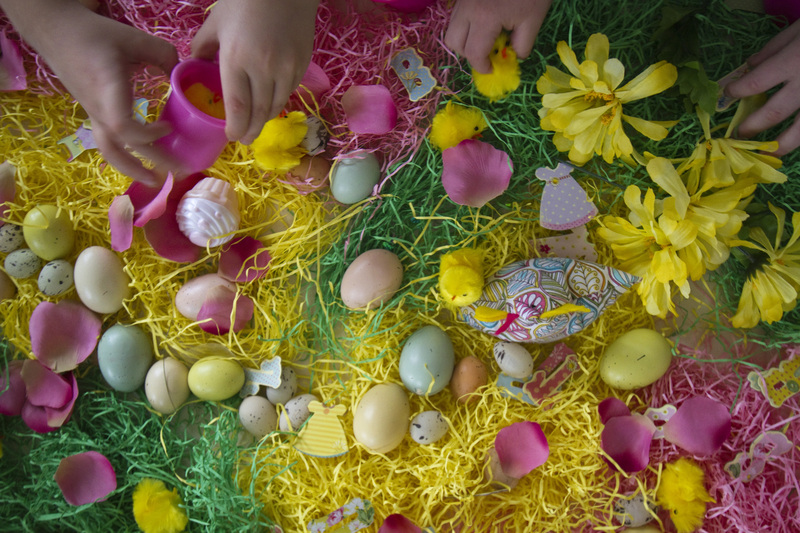 The toddlers also liked to fill them up with the eggs and grass. We added the plastic cupcakes from the toy kitchen because they just seemed to make everything a little more joyful. 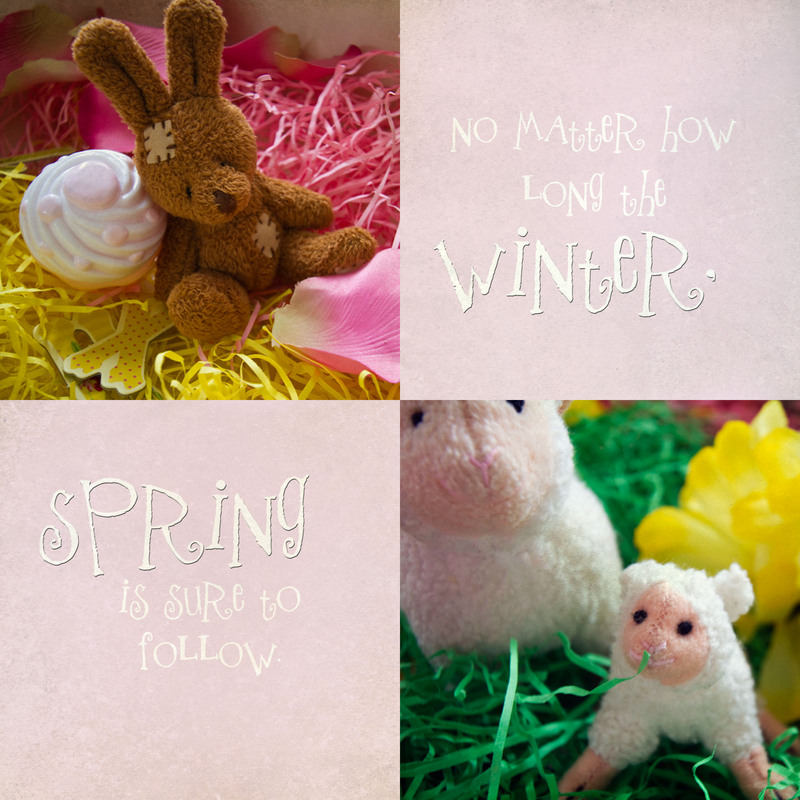 We put in our mama and baby sheep, because nothing says spring like a baby lamb. Gage added his wee stuffed rabbit because he thought our table needed an easter bunny! And I think that’s about all of it. Now it’s time to play! And playing is what they’ve been doing! The table doesn’t look anything near as neat and tidy now as these photos do! Giant nests have been built. Dens have been burrowed. 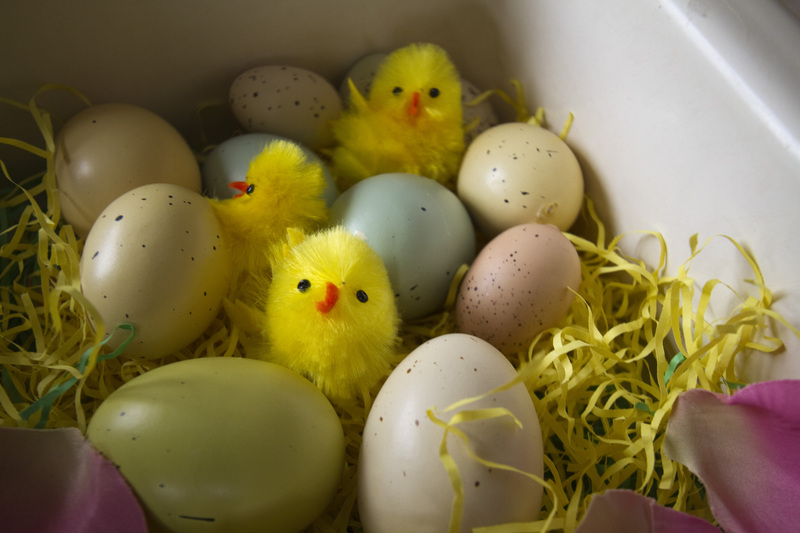 Eggs have been hidden. And cupcakes have been licked! lol! All in all, this activity has been a success. 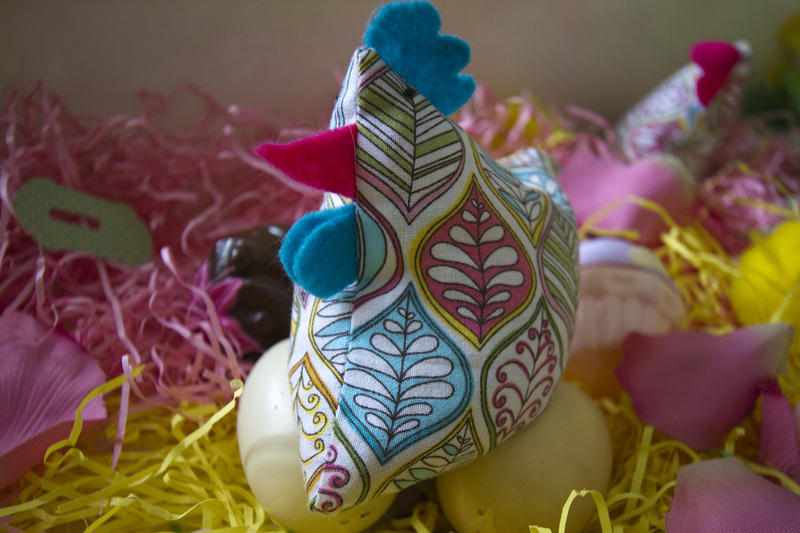 Oh, and a little hint…use the paper easter grass, if you can. The plastic stuff is full of static and makes for a mess all over your house! 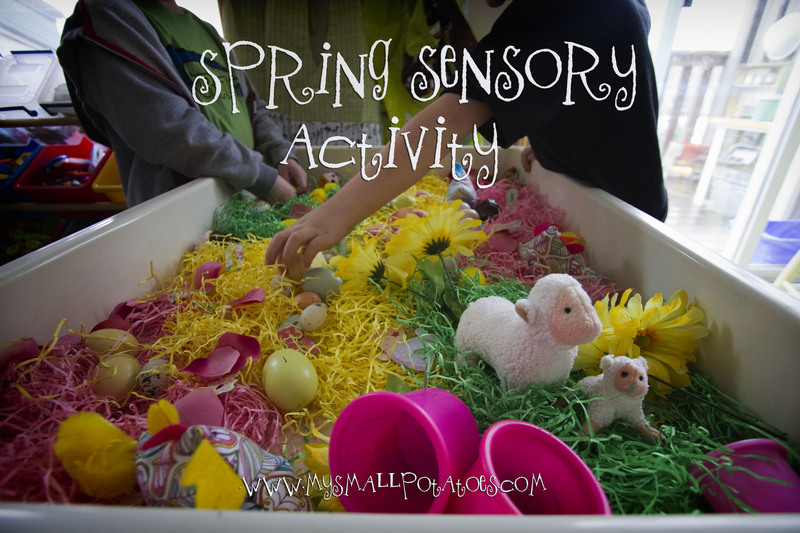 Have fun, use your imagination and let the kids get involved in creating this little corner of spring in your home…you can’t help but catch the fever too!